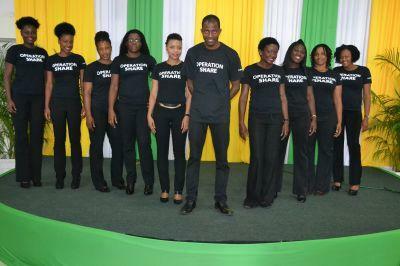 Projects Abroad Jamaica has recently launched a new campaign to help combat homelessness throughout the country: Operation SHARE (Support Help and Respect Everyone). Together with our volunteers and several other organisations, Operation SHARE aims to create public awareness around the issue of homelessness and thereby empower the everyday person to make a difference in the lives of those living on the streets. Projects Abroad Jamaica has been feeding and providing personal care to the homeless since 2008, but the Jamaican homeless population is growing year by year and the need for help and support is increasing. Today, our outreach efforts take place on a monthly basis in order to coordinate Operation SHARE and to cater to the growing needs of the homeless community. On average, we assist one hundred homeless and people living on the street each month. The campaign culminates on World Homeless Day (October 10, 2015), when the Operation SHARE team will provide stimulating care for all homeless people island-wide. This includes medical and wellness checks for those with chronic illnesses, as well as dressing minor cuts or wounds. Most of those who live on the streets are unable to seek and receive proper medical care at the appropriate facilities, so we are taking the clinic to them. In addition, the team will cater to the personal hygiene of the homeless by having a grooming session including massage therapy and the provision of personal care items such as toiletries. We will also offer all homeless people a warm meal, drink and a “wish list” package, including necessities such as a torch, sleeping bag, radio, blankets and socks. A key element of Operation SHARE is to challenge the public perception of what homelessness is about and to combat the stigma associated with it. Through Operation SHARE, we hope to broaden the public’s understanding of issues relating to homelessness and in turn, encourage positive action. The public awareness campaign intends to highlight unsung talents of homeless people by giving a selected few the opportunity to spend a day with a well-known Jamaican role model. In addition, we will provide a platform for capable homeless individuals to showcase their talents. Projects Abroad Jamaica will also encourage members of the public to participate in social media challenges, flash mobs and competitions on issues of homelessness throughout the campaign. Projects Abroad is proud and excited by this worthwhile initiative from our Jamaican team and will keep you updated on progress from the Operation SHARE campaign. Follow Operation SHARE’s progress by joining the Projects Abroad Jamaica Facebook page and following Operation SHARE on Twitter.